﻿ Tudor Players | <? echo $page_title; ?> | Amateur drama society, Sheffield, Library, Theatre, stage plays, Comedy, acting, Ayckbourn, UK. Many of you will be aware that Tudor Players' president, Brian Parker, died on the 1st January 2007 at the age of seventy-four. Brian was an amazingly talented actor, equally at home with comedy and drama. In different circumstances, he could easily have made a living as a professional actor. Instead, he graced the amateur stage, originally with Stannington Players and then later with Tudor Players. 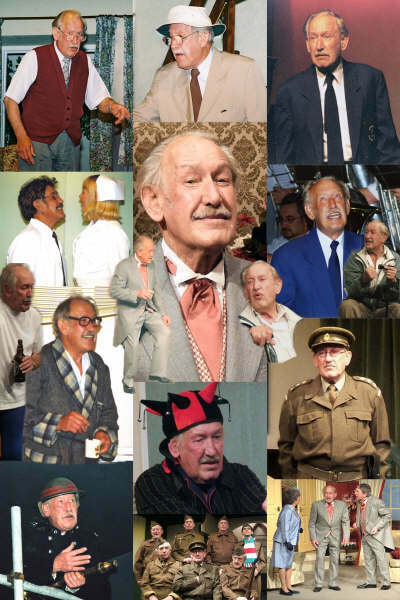 It is hard to recount all the great roles that he played - there were so many! There were the American plays - Joe Keller in All My Sons and Willy Loman in Death of a Salesman, two of the greatest male leads by Arthur Miller. 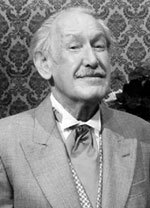 There were the Neil Simon comedies - Willie Clark in The Sunshine Boys and Oscar in The Odd Couple. Then there was a stunning portrayal of Norman Thayer Jr. in On Golden Pond. His English roles have been equally compelling Ð Hobson in Hobson's Choice; Danny in Brassed Off and Captain Mainwaring in Dad's Army. These parts all showed Brian's tremendous range of acting. Gerald and his little "doo dahs" in There Goes The Bride. Even though Brian had played the part of Gerald on a previous occasion and said the same lines on numerous occasions, he could still not stop himself "corpsing" whenever he had to mention the "little doo dahs!" Brian made his last appearance with Tudor, only last October in Quartet and clearly his mind and body were still as active as ever, in a long, demanding part. Brian was a man who enjoyed life and would not have wanted his friends to be too mournful but rather treasure his memory with warmth and affection. At his recent funeral, he chose his final music for himself and as the curtains closed about his coffin, he went out to the strains of Bring Me Sunshine sung by Eric Morecambe and Ernie Wise. Brian will be sadly missed, not just by his friends at Tudor, but by all those audiences who were fortunate enough to have seen him on stage.